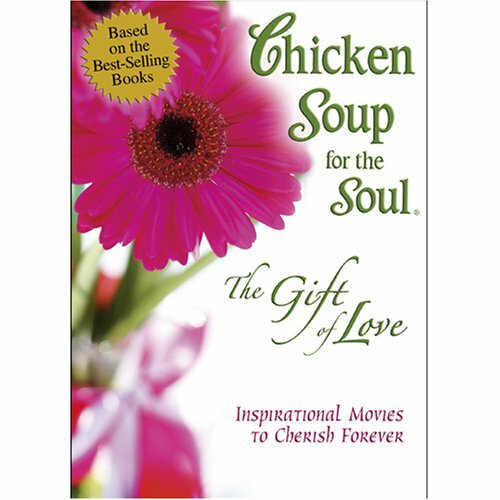 Two Inspirational Short Films; Based on the Best Selling Books; With 100 million copies sold, 120 titles and 39 languages, Chicken Soup for the Soul has made international publishing history; 85% of Chicken Soup for the Soul books are bought as gifts. Feature Films: MRS. WETHERBY'S TREASURE-When two enchanting nine-year-old little girls notice a kindly old woman mysteriously arrive on their quiet street, they rush to see if they might help. The magic that comes of their innocent love and generosity leads to a discovery not only for them, but for the entire neighborhood. DEAR GRANDMOTHER- New York fashion coordinator, Celia Davis, receives unexpected news--her mother, whom she has never known, has died suddenly and she's been appointed guardian of her half-sister Merry, an uprooted twelve-year-old with an attitude and an airplane phobia. The cross-country trip that follows delivers many surprises, bringing Celia and Merry to a place that neither expected.